Carola Lemne is the Director General of the Confederation of Swedish Enterprise. In the 1860s, Sweden was among the poorest countries in Europe. During the following hundred years, our GDP grew more rapidly than any other country in the world, except for Japan. Globalisation was the main force behind the Swedish miracle. It brought us economic development and a prosperous society, where over 50 % of our GDP still comes from international trade. As a small country in the far north, trade has become – and must be – part of Sweden’s DNA. Globalisation and trade are our way to engage with the world and to become the best at what we do. That is the case with the EU too, trade puts us on the map and allows us to punch above our weight globally. The importance of trade lies not only in the growth it brings, but in the way it spreads new ideas and paves the way for innovative solutions and technology. It has increased our lifespan, made us healthier, and increased our access to knowledge about all parts of the world. 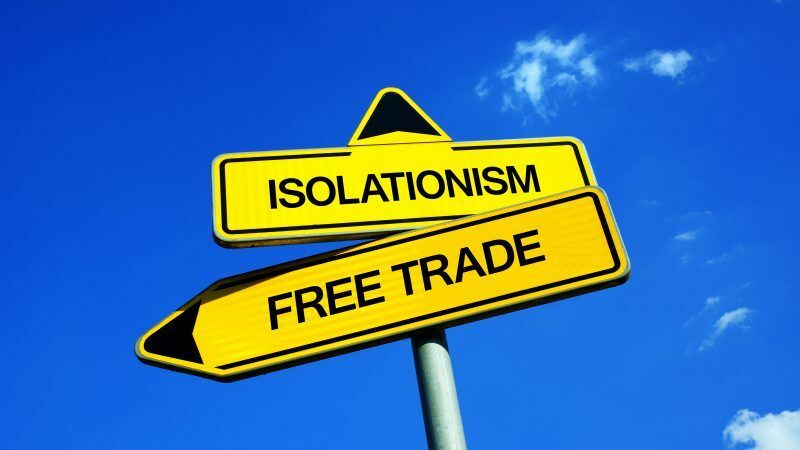 The current debate in Europe is characterised by calls to put the losers of globalisation at the center of trade policy and trade is seen as a means to achieve a range of other public goods. In the US, Donald Trump is crafting policies based on the notion that other countries have taken advantage of the US and that trade is to blame. In the midst of geopolitical turmoil and a backlash against globalisation as such, global trade is stalling and European growth is slow. Many have forgotten that Europe as a whole has gained enormously from being open to trade with the rest of the world. On a societal level, we are all winners of globalisation. It is true that some communities have been adversely affected. These generally have one thing in common: national systems that have not been adapted to address the speed and force of globalisation. Naturally, people are not focused on finding the right political level to complain, instead, they turn against globalisation and open markets. We need to be innovative and come up with new ideas of how to ensure citizens are included in the progress achieved by global economic integration. And, we must talk about why globalisation matters. In Sweden, this conversation is alive and well. Most importantly, we have been able to foster a common view between social partners that prosperity depends on trade and globalisation. There is a general awareness that open markets are good for Swedish consumers, Swedish workers and for Swedish companies. Without an acceptance of a market economy, things would look very different. Business has an important role to play here. The business community has lost a few battles on trade, but we are not losing the war. We have to get better at talking about these issues in ways that make globalisation visual and tangible. We must take citizens’ concerns seriously and make it crystal clear that free trade is not a race to the bottom – but a way to solve issues that people worry about. It is our role to show that trade and globalisation lead to better wages, more workers’ rights, and better consumer protection. SMEs are a crucial part of the global economy, and the internationalisation of small companies is an important way to show the benefits of globalisation for local economies. The truth is that countries that try to cut themselves off globalisation, by regulating markets strictly and protectionist barriers become losers in the long run. Because domestic companies are shielded from external competition they become less innovative, growth becomes stagnant and job creation stops. In the end, these losses are passed onto workers and consumers and society at large. On the contrary, we see that open economies outperform other economies in levels of labour rights, working conditions, and life expectancy. It is regular citizens who pay for the protection of domestic industries. Virtually all protectionism means higher prices. The business community can’t do this all by ourselves. European politicians have a big role to play in communicating why globalisation matters. We need politicians that are brave enough to talk about the losers of protectionism, not just the losers of globalisation.